Since moving into our new home over 2 years ago, I’ve done really well at decorating the downstairs. I’ve given it some personality and style, and have done things here and there to make sure it’s a relaxing place to hang out. Unfortunately, the upstairs decor was put on the back burner for budget reasons and because of other things needing my time and attention. The past couple of weeks I’ve been spending some time giving it the attention it needs. From decluttering to decorating, things are starting to look pretty good! 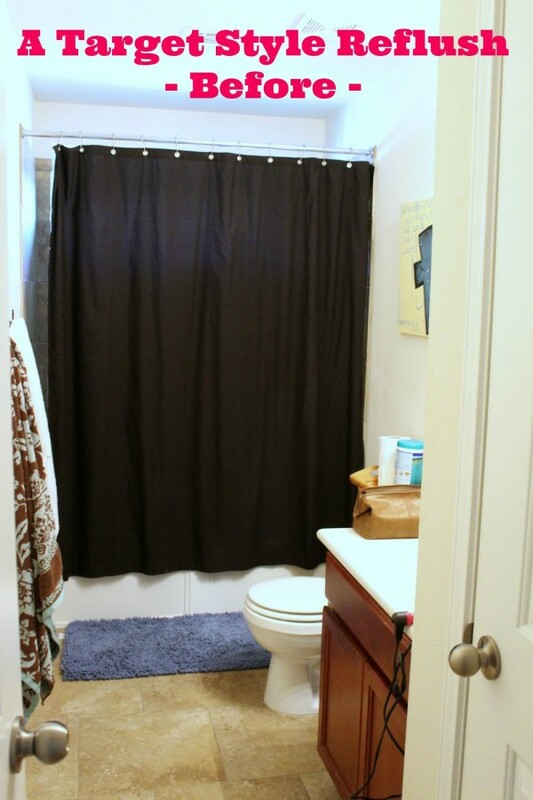 This past week it was my time to do something about my kids’ bathroom. 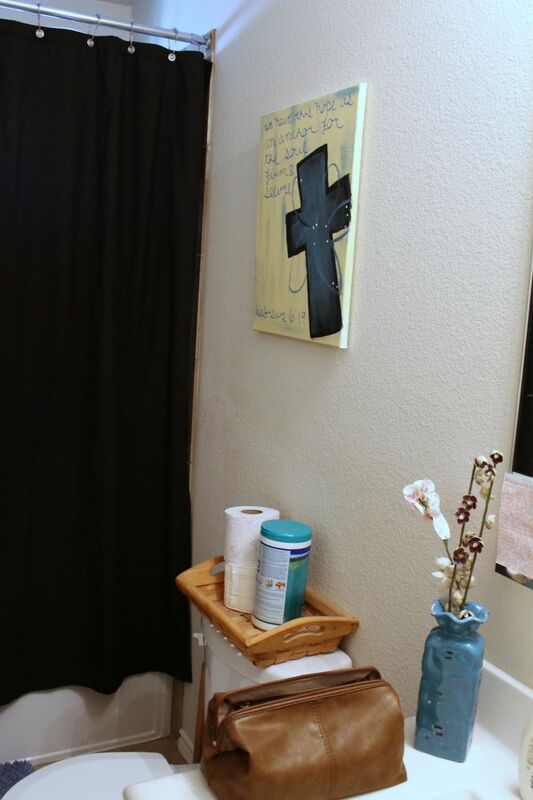 It used to be so easy decorating their bathroom when they were little. I had an underwater theme, probably a character theme at one point…basically anything that made bath time more fun. Well, as they’ve gotten older, decorating that space they all share has gotten tricky. I can’t decorate it too girly, because my sons use it to. But I don’t want it to be too masculine for my daughter’s sake. So, I headed over to StyleReflush.com presented by Quilted Northern and Target. But more on that in a minute…. 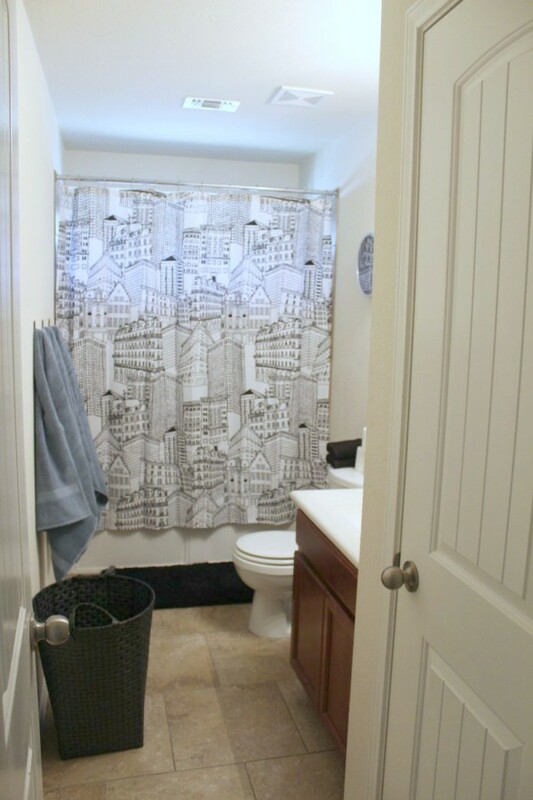 First, let’s see what the bathroom used to look like. The all important BEFORE shot. It’s not terribly bad right? It just lacked some style and color flow. 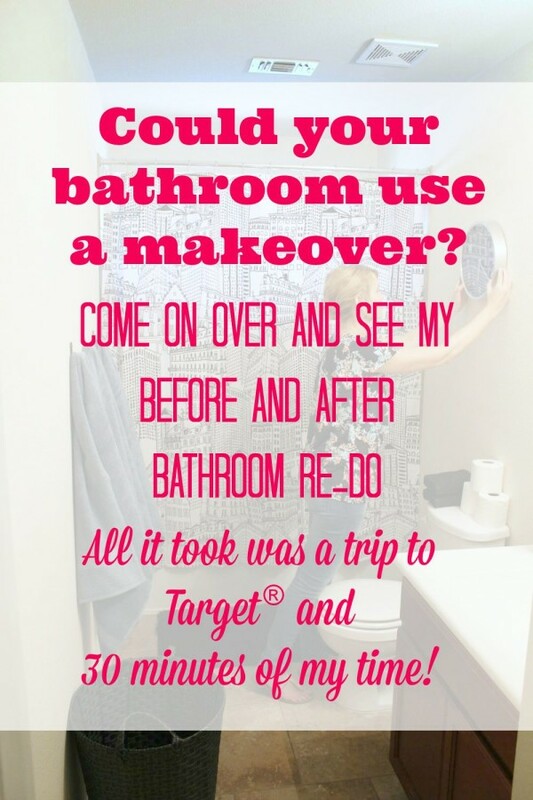 I knew one trip to Target was all I needed in order to get this bathroom looking ship shape. 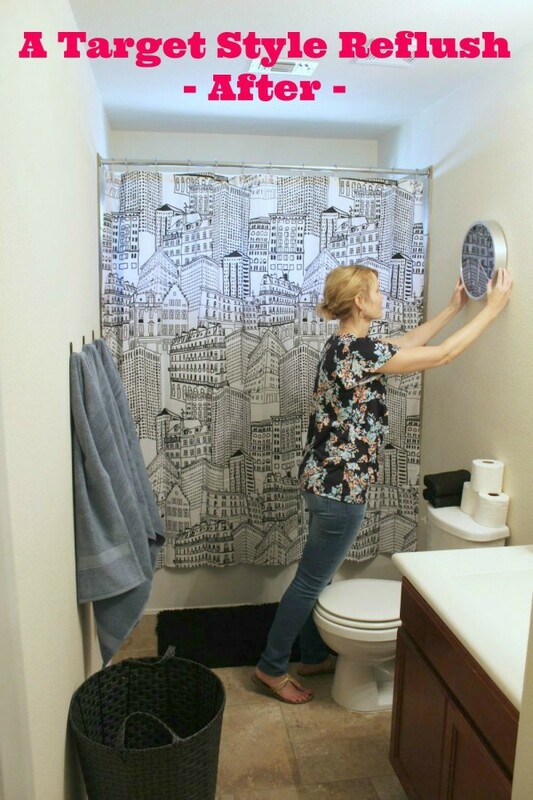 First, I headed over to the website I told you about, StyleReflush.com, where you can choose some bathroom looks and accessories, and receive up to a $3 off coupon for Quilted Northern. 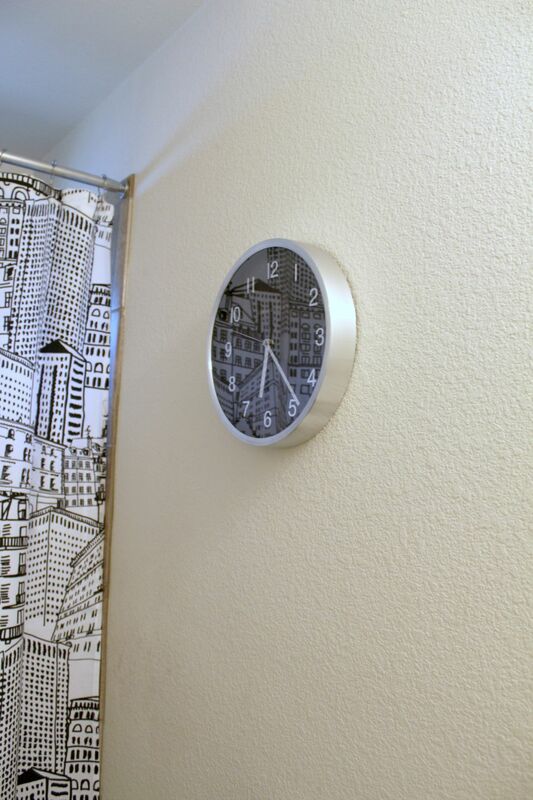 Here are the bathroom accents I chose. My youngest son asked (begged) for a city themed shower curtain. His bedroom is travel themed…do you see a pattern here? The kid is dying to travel…everywhere and anywhere he can. So, city themed it was! 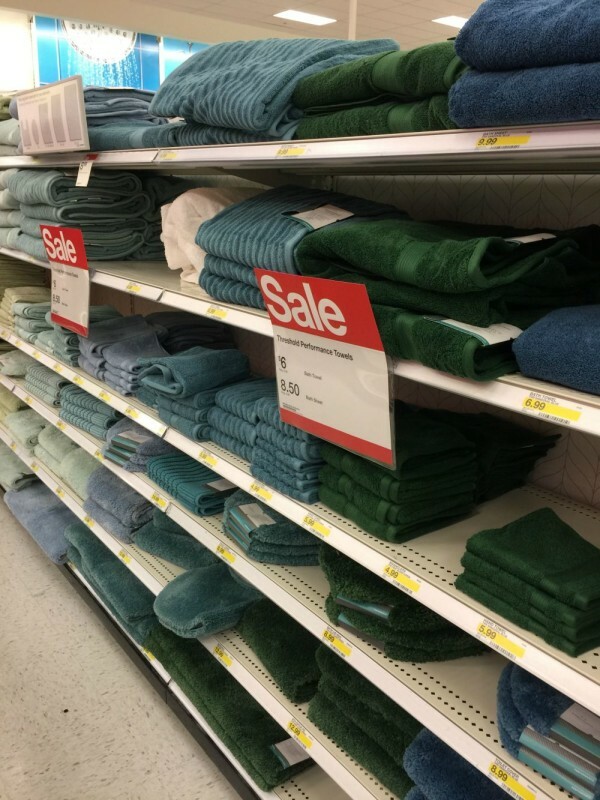 I typically purchase white towels for their bathroom, but this time I wanted to add some color. 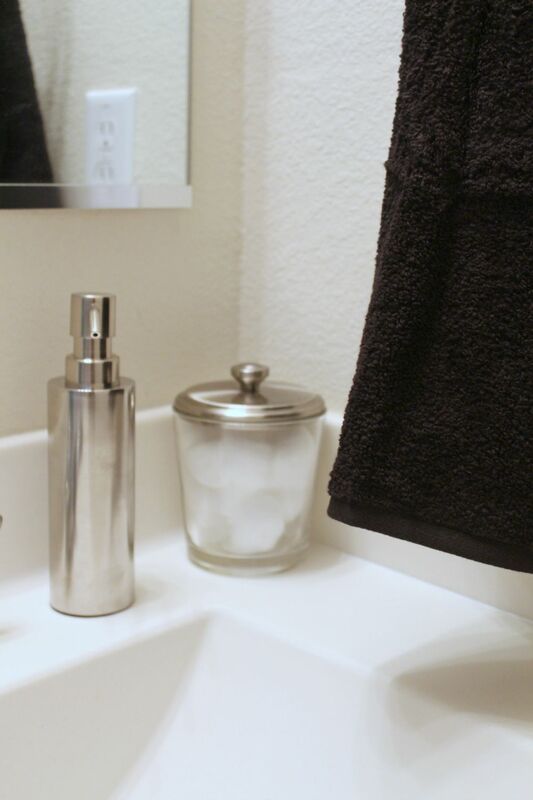 I chose blue bath towels, which I thought looked fantastic with the black and white. 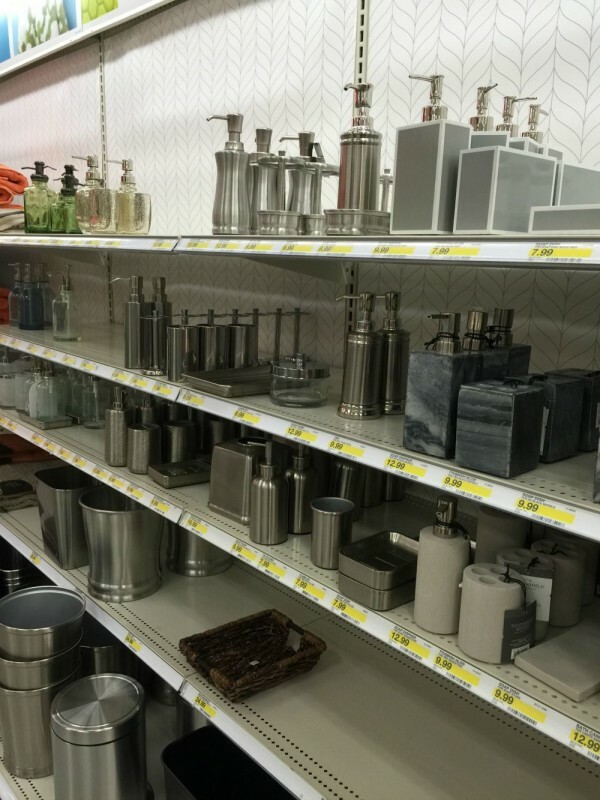 They also needed some new sink accessories, so I chose a soap pump. 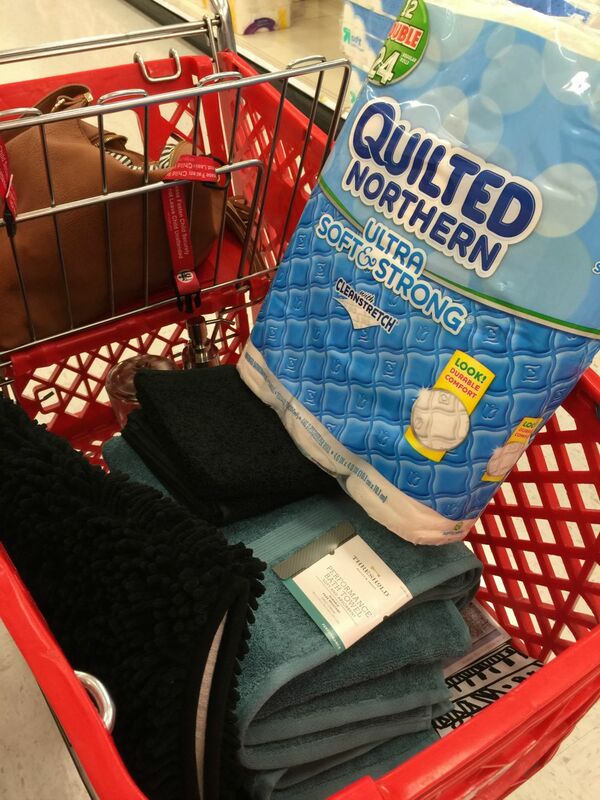 To top it all off, I chose Quilted Northern Ultra Soft & Strong bath tissue. 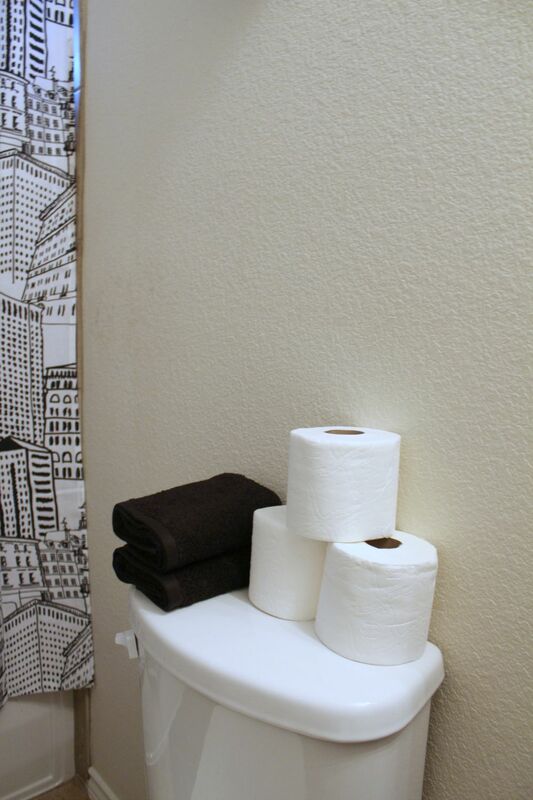 Yes, even the toilet paper needs to have some style, right?! After this, is was off to Target! My happy place. 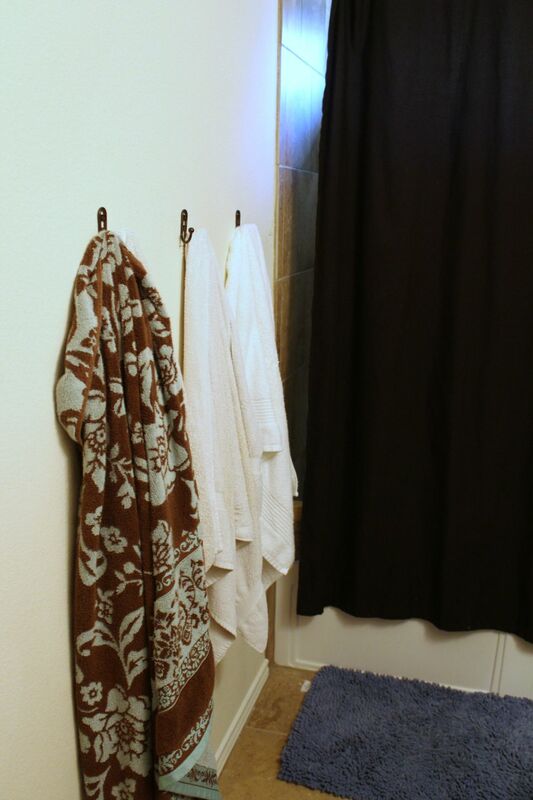 If you read my first post about Quilted Northern and Travis the Turtle, then you know that it’s designed so well, you completely forget your bathroom experience. If you know what I mean. 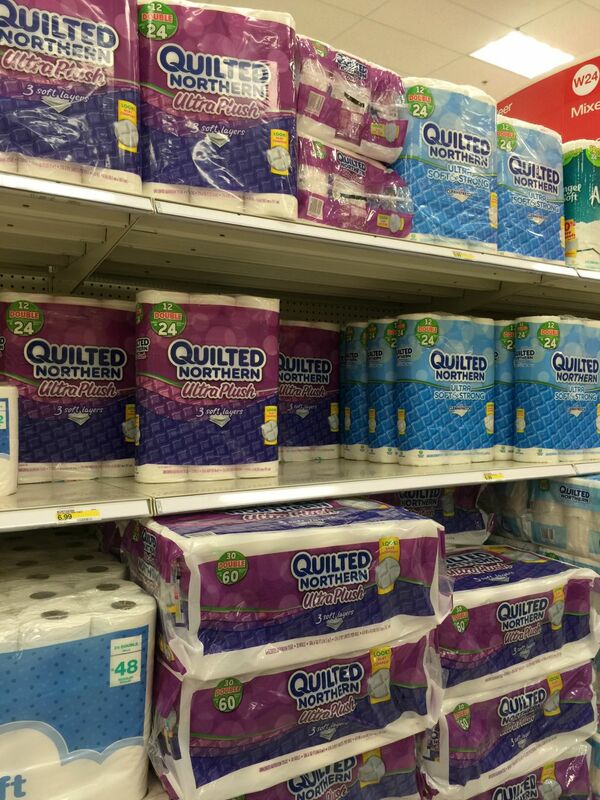 I knew combining Quilted Northern’s elevated style with Target’s bathroom accessories would help give me just the look I was going for. I ended up purchasing the Room Essentials City Sketch shower curtain, a Threshold bath canister for cotton balls, a Threshold brushed nickle soap dispenser, Threshold towels in blue and black, a black bath rug, a clock and Quilted Northern Ultra soft & strong bath tissue. What do you think? My kids love it! 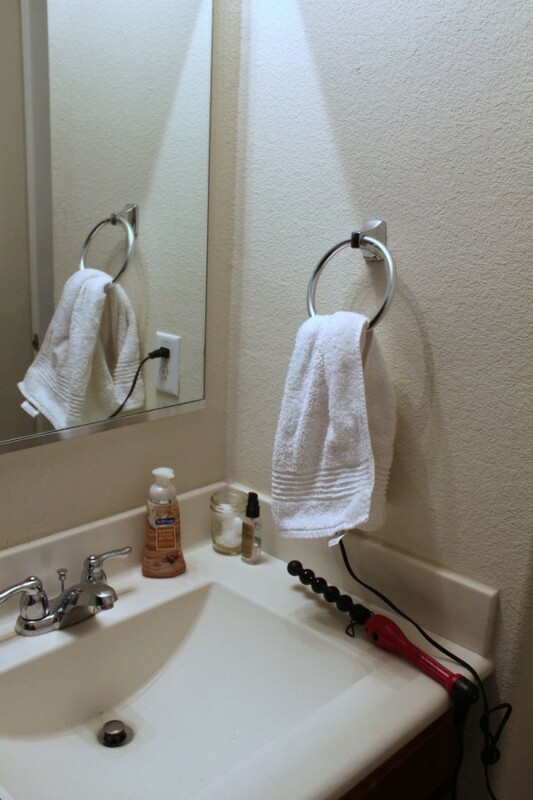 My entire family likes to go very minimal with decorating, so this is perfect. 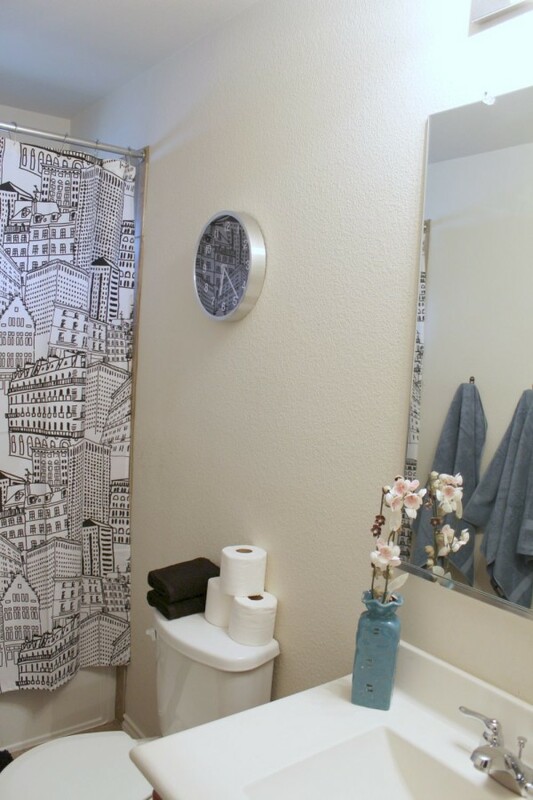 I spent just over $100 and now they have a stylish bathroom with clean lines. 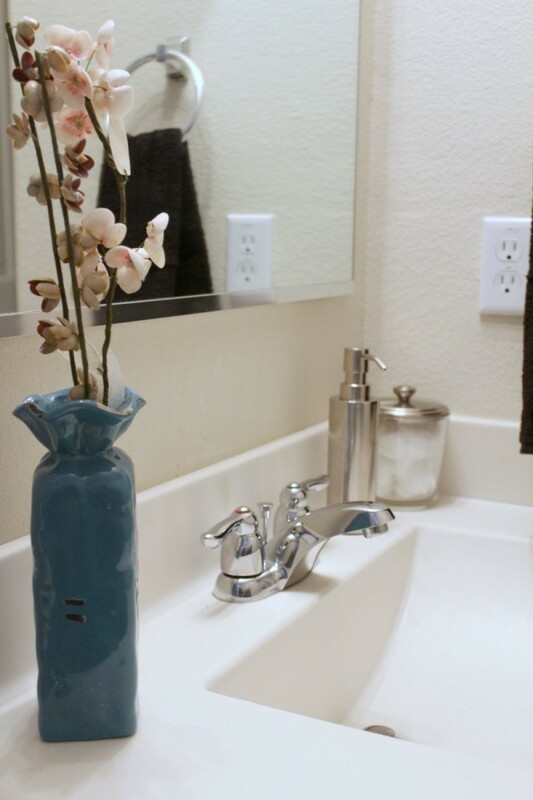 Could your bathroom use a makeover? 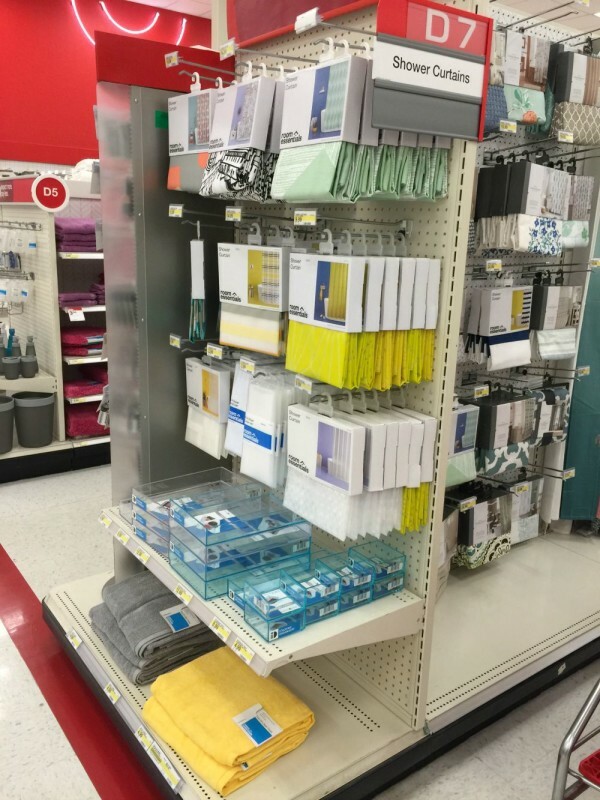 Visit StyleReflush.com for your Quilted Northern coupon and to look at Target’s bathroom accessories.